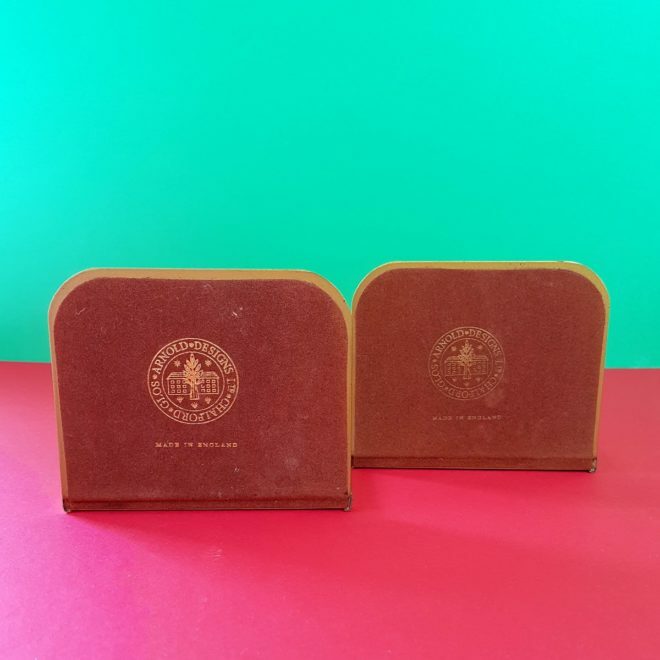 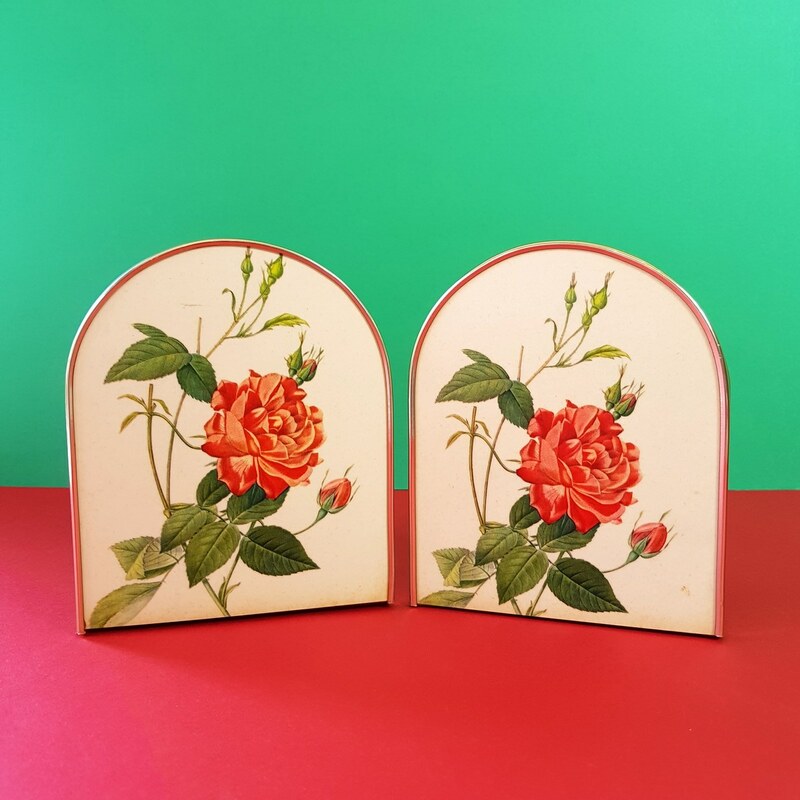 Pretty pair of 1960s bookends which were made in England by Arnold Designs. 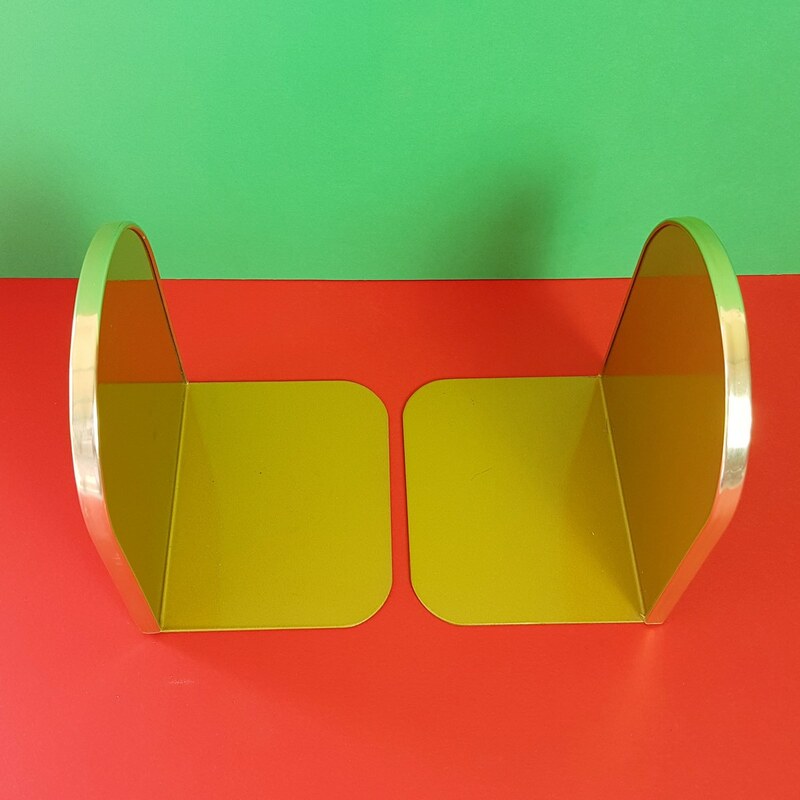 They are made from metal with a brass trim. 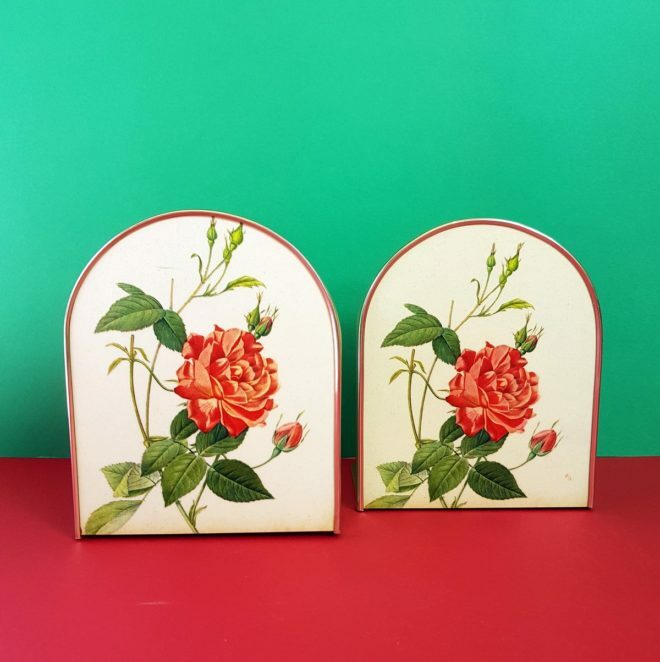 Each has a botanical picture of roses on the outward facing end. 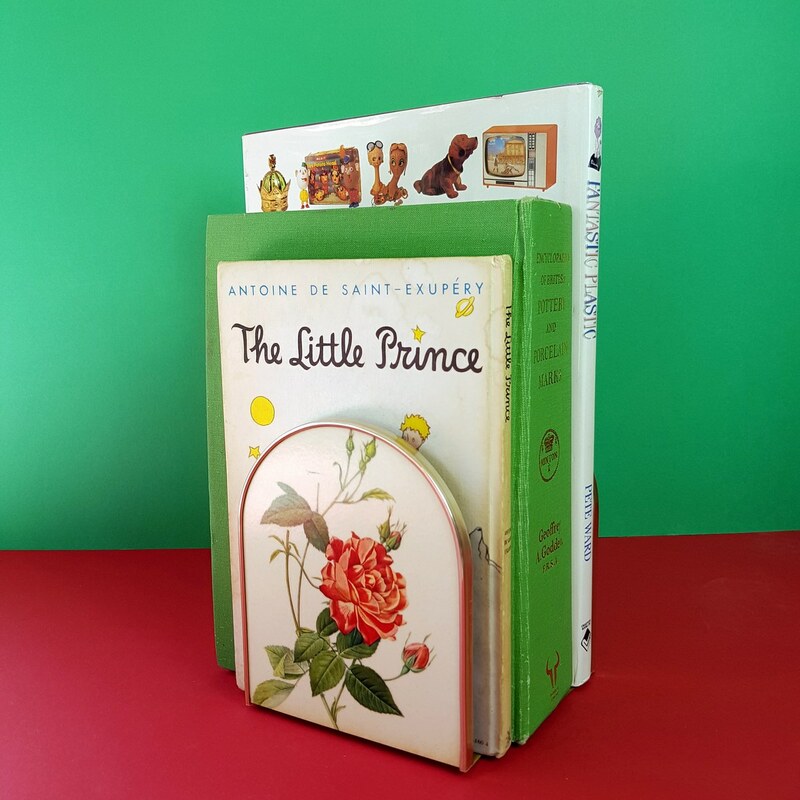 The bookends are felted underneath and incredibly stable no matter how tall the books!